FlexiSPY Reviews: Is This the Best Phone Spying App in the Market? If you are looking for an advanced phone spying software, FlexiSPY is, without a doubt, the leader in the market. The software comes with various features that other phone monitoring apps do not have. Some of the capabilities of FlexiSPY include call intercepting, call recording, and recording ambient noise through the phone’s built-in microphone. There are hundreds of phone monitoring apps in the market. How can you know which one will be best for you? The easiest way to do this is to compare the apps. In this FlexiSPY review, I go through the features of the app that make it the best phone monitoring software for many consumers. PLEASE NOTE: FlexiSPY is an advanced phone monitoring app but using it can be complicated for some people. To use the app, you have to root or jailbreak a device. If you are looking for an easy phone monitoring software or are a beginner to spy software, I recommend you start with the Highster Mobile (for Android, no rooting required) and the mSpy without jailbreak solution (for iPhone). On the other hand, if you know how to root your device and are looking for a spy software with advanced capabilities, you will find FlexiSPY worth the money. FlexiSPY was released to the public over a year ago. Over time, the software’s price has become more affordable. Moreover, the app has quickly become the market leader in spy software considering the features of its Extreme version. Flexi SPY works in a simple and seamless manner. Even if you are not tech savvy, you can easily use the app. The software is user friendly and you will get used to it easily. You won’t have to spend hours wondering how to use various features. The app has an intuitive and self-explanatory user interface where everything is laid out clearly. The controls are also easy to understand and use. 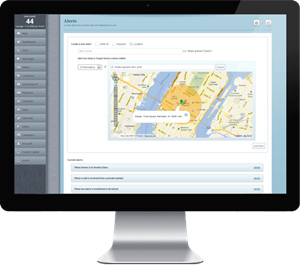 Another reason why you will not have a problem using FlexiSPY is that it has an easy-to-navigate Control Panel. The performance and design of the app makes it a premium product. I especially love how easy it is to navigate the app on the visually pleasing layout. There are two different monitoring packages you can choose with FlexiSPY. These are FlexiSPY Premium and the Extreme version. The Premium version has most of the features found in other phone monitoring apps. However, the version does not have the ability to record or intercept calls. If you would like these two features, they are available in the FlexiSPY Extreme version. Check the image here for a comparison of the features available in the Premium and Extreme versions. Another reason that makes FlexSPY the best phone monitoring app is that the team continues to add new devices and services as they update the software. Keyword Notifications. You can get alerts when your target device uses certain keywords. The alerts can be sent on your phone as email or text. For example, if you suspect your child is doing drugs, you can set to monitor his/her phone to be alerted for words associated with drugs. Manage Applications. You can uninstall, stop or block certain apps from running on the target device. For example, if you do not want your child not playing certain games, you can block them from getting installed on his/her smartphone. Remote Update and Upgrade. You can always make sure the FlexiSPY app is up to date even if you do not have the target device in hand. You simply need to log into your online account, through any other device, to upgrade the software. You may remember the legal hassle that StealthGenie encountered a few years ago. The good news is that FlexSPY is based outside of the United States. Thus, it is not subject to US laws. However, the company stresses on their website that you should follow the law when using its spy software. The advanced features of FlexySPY Extreme work extremely well. If the cellular signal of the target phone is strong, you will easily monitor everything you want. However, if the cellular signal is not dependable, the quality of recorded calls will be poor. You do not have to be close to the target device to monitor it. The device can be monitored from wherever it is, as long as the cellular signal is strong. 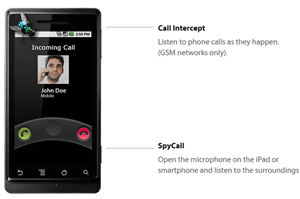 The Call Intercept feature is one of the most advanced in the market and that is not available in other phone spying software. With this feature, you can hear a call on the target device in real time. When a call is made to the device, you are automatically connected into it as a third party listener, like the way a conference call works. The only difference is that the parties won’t know you are on the line listening to them as your phone will be muted. However, for the Call Intercept feature of FexiSPY to work, the target device has to be capable of 3-way calling. Confirm with your phone carrier whether this feature is available or enabled on your phone. The Keylogger is the most powerful feature of the FlexiSPY app. With this feature, getting passwords will be easy. When you install the app and enable the Keylogger feature, it will log every keystroke entered on the target device. This means you can see the username and passwords of various sites that the user of the target phone signs into. You can conveniently access all this information from your online dashboard. The advanced features of FlexySPY are the top in the market. Check their website for more information on how the features works. FlexiSPY is very easy to use, even if you are not tech savvy. When you sign up at the website, you will be taken through how to use and navigate the software. There is nothing technical about installing the software. There is an installation wizard that will guide through the installation process. The FlexiSPY app team is knowledgeable and efficient. You can reach them 24/7 if you encounter a problem or get stuck during the installation process. The team is available through live chat and email. There are also many resources on the FlexiSPY website that can help you troubleshoot problems you may encounter. Most of the time, you will get quick answers to any issue you have from the Knowledge Base articles on the official FlexiSPY Website. There are even video tutorials that will guide you through installation, customizing and activating the phone spy software. I recommend you go through the tutorials to take full advantage of the phone spying software. You can transfer your FlexiSPY license to another devices. For example, if you have an Android device and want to switch to an iOS one, you can do so. Transferring the license is an easy process that takes a few minutes. Given how efficient the software is, FlexiSPY comes with a 10-day money back guarantee. If you feel the software does not meet your expectations, you can request a full refund. Simply go to FexiSPY website and sign up and try the phone monitoring app for 10 days to see its capabilities. Another reason that makes FlexiSPY the top rated phone spying app is that it’s available in different languages. The current languages supported are: English, Chinese, Dutch, Portuguese, Spanish, Russian, Thai, Turkish, and Italian. If you wish to monitor a device, it’s important to follow the law. For example, there is no problem using the device to monitor your children or employees using your company’s devices. However, if you are monitoring a device bought and owned by an adult, you probably will be breaking the law. This is why I recommend that you use FlexiSPY for monitoring your kids’ activities and employees using company devices. If you just want basic spying capabilities, you can go for the Premium package. The package is competitively priced and offers great value. The Extreme package is costly but worth it if you are looking for more advanced spying options. For example, FlexiSPY is the only phone spying software that offers ambient recording, call intercept and call recording. Others US based phone spying software companies like mSpy, MobStealth and Mobilespy do not have these capabilities. Another plus for FlexySPY is that you won’t pay additional taxes or VAT charges since the company is not based in the US. The price on the website is what you will pay. 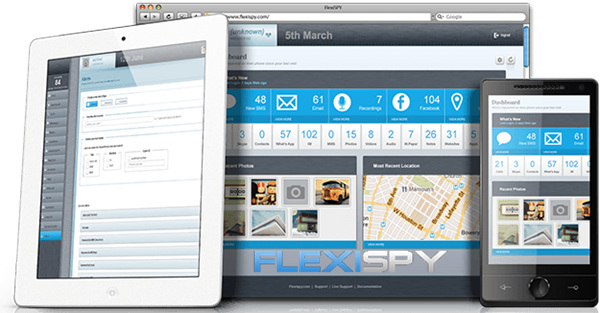 FlexiSPY app is the best phone monitoring app in the market thanks to its advanced features. Buying the app will be a great investment. Think of being able to know where you child is at any time and even listening to their conversations if you suspect they are hanging out with the wrong crowd. Monitoring their smartphone can help you know what’s going on with their lives and even prevent them from getting harmed.